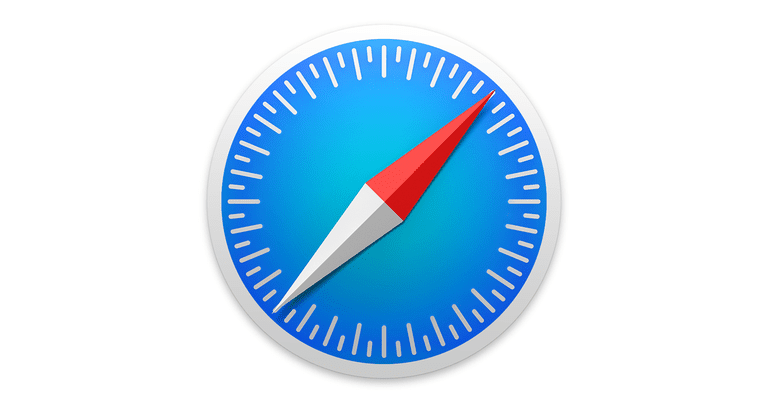 While you can install browsers from the App Store, the web browser that comes built into every iPhone, iPod touch, and iPad is Safari. The iOS version of Safari found on every iPhone, iPod touch, and iPad is adapted from the desktop version that has come with Macs for many years; however, the mobile version of Safari is very different in many ways. If you want to zoom in on a particular section of a web page (this is especially useful to enlarge the text you're reading), simply tap twice in quick succession on that part of the screen. This enlarges that section of the page. The same double tap zooms out again. If you want more control over what you're zooming in on, use the iPhone's multitouch pinch feature. Put your index finger together with your thumb and place them on the part of the iPhone's screen that you want to zoom in on. Then, drag your fingers apart. This zooms in on the page. To zoom back out and make things smaller, put your fingers at opposite ends of the screen and drag them together in a pinching motion. You scroll down the page by dragging a finger down the screen. On a long scrolling page, you can quickly jump back to the top without all that scrolling. To jump to the top of a page simply tap the top center of the screen twice. The first tap reveals the address bar in Safari, the second immediately jumps you back to the top of the web page. Arrow buttons at the bottom left corner of the screen are the forward and back buttons. Swipe to go back or forward. Swipe the left edge of the screen to go back and the right edge to go forward. There are two ways to open a new tab in Safari. The first is by tapping the Tabs icon in the lower right corner of the Safari window (it looks like two squares on top of each other). This displays all of your open Safari tabs. Swipe up and down to move between Safari browser tabs, or tap Done to close a window. Find the link you want to open in a new window. Tap and hold the link on the screen to open the menu. If your device features Force Touch, you can press down to open this menu as well. Tap Open in New Tab. The page linked to will open in a new tab. The icon at the bottom center of Safari that looks like a box with an arrow coming out of it is called the Action menu. Tapping it reveals all sorts of features. These allow you to bookmark a site, add it to your favorites or reading list, make a shortcut for it on your device's home screen, print the page, share a page, and more. Use the Private Browsing Mode to browse websites without Safari keeping a browser history, search history, or AutoFill information after you close a tab. To enable it, tap the​ Tabs button to open your browser tabs. Tap Private in the lower left. This will open a private browsing section. Here you can press the plus button at the bottom to open a private browsing tab and start surfing the web. To turn Private Browsing Mode off, tap the Private button again in the lower left of the window.